Great cat tree. My Kittens love it. Also, amazing customer service from Trixie Pets when I needed a replacement bolt. Spare part sent out overnight shipping with absolutely no cost to me. This floor-to-ceiling playground ranges in height from 97 to 110 inches and can be secured to the ceiling using our spring-activated ceiling attachment. 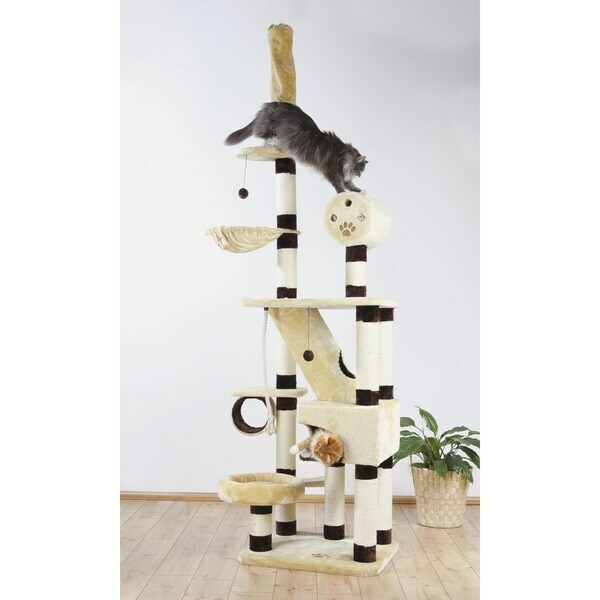 This piece of cat furniture offers a multiple platforms, two houses, hammock, tunnels and more.